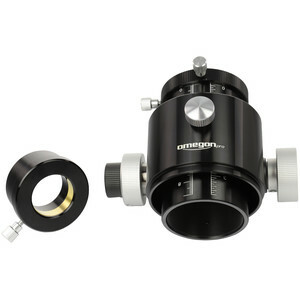 If you want crisp focusing when using high magnifications or doing astrophotography, then the Omegon Crayford focuser will give you the precision you need. 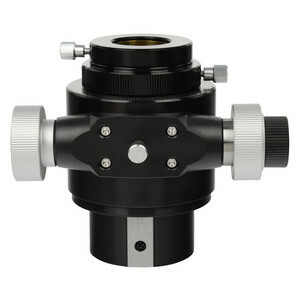 Its ultra-smooth adjustment, use of ball bearings and reduction gearing all mean you can now find the point of focus in a jiffy - letting you concentrate on the most important thing in future - your fun observing! The Crayford Bearing-Type combines two techniques in order to produce an accurate focuser - large ball bearings and a stainless steel guide rail. 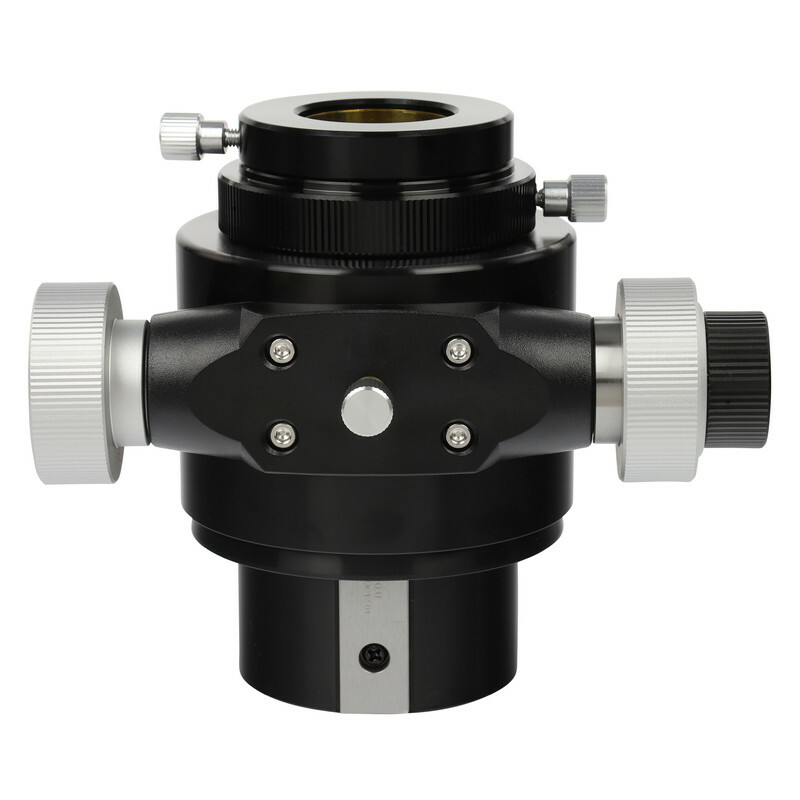 The focuser can be adjusted smoothly and judder-free and remains optimally in position even with higher loads. 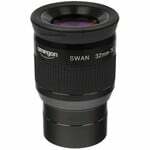 An extremely useful accessory for successful astronomy photos. Focus on stars, planets and diffuse nebulae. 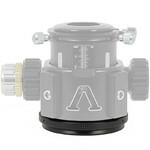 An easy job when visually observing can become more problematic when doing astrophotography. 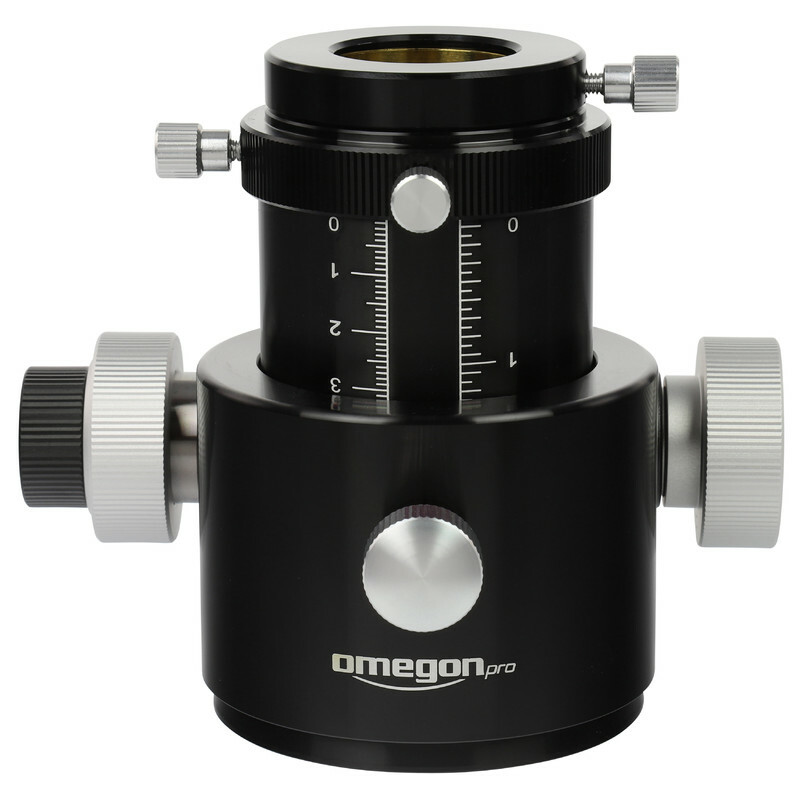 But here it's easy for you - simply use the 1:10 reduction adjuster next to the normal focusing wheel to adjust the focus tube ten times more accurately than with a normal focuser. 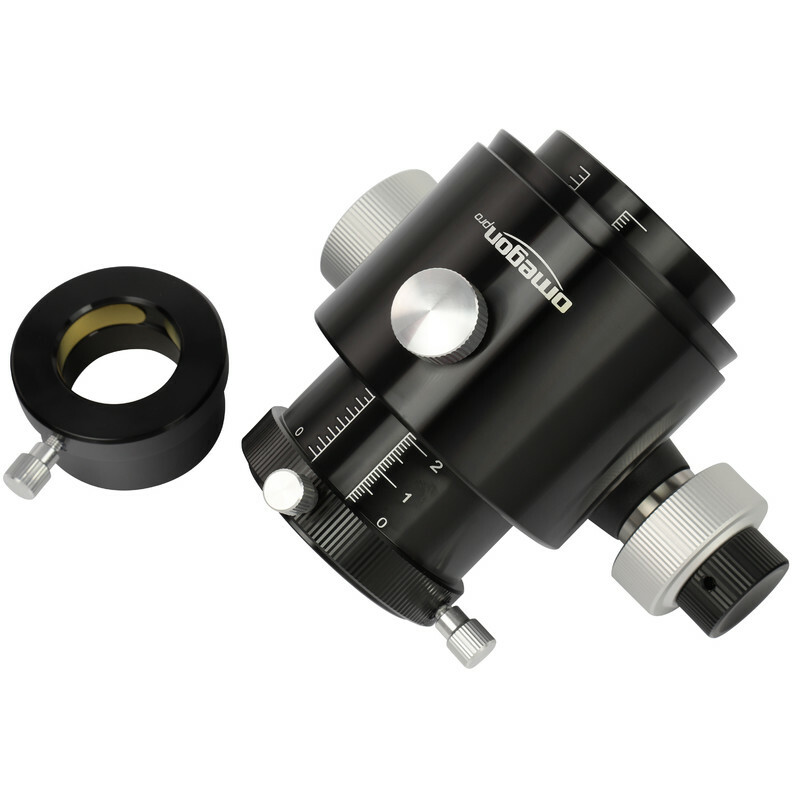 The 2" Crayford focuser features a compression ring which clamps eyepieces and adapters flatly, ensuring a firm grip and gentle treatment of your accessories. 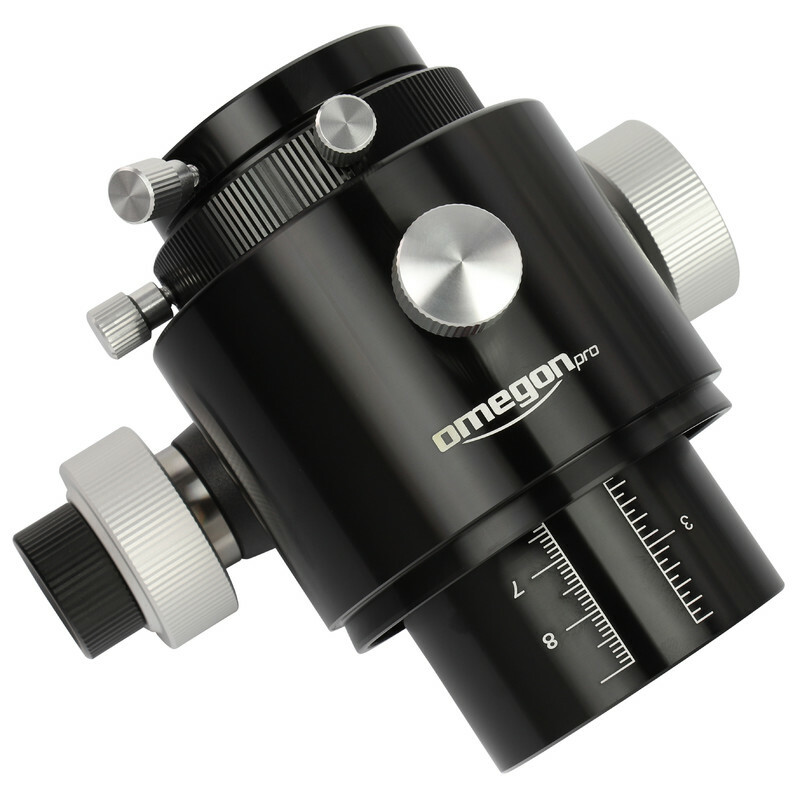 A 2" to 1.25 "adapter can take all 1.25" eyepieces and you can also screw 2" filters into it. Mount your camera equipment - the focuser will hold even large full-frame cameras of up to 2.5 kg reliably in place, without any deflection. 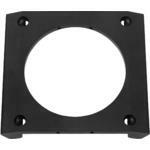 Exact focusing, at the centre of the optical axis is hence ensured. 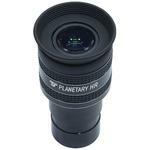 TS Optics Ocular planetario HR 3,2mm 1,25"
TS Optics Oculares Planetary HR, 4 mm, 1,25"